Six matches, six wins. 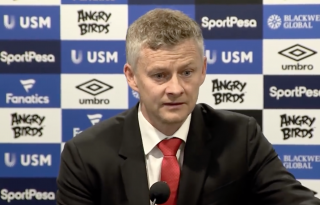 It really could not have been a better start for interim Manchester United manager Ole Gunnar Solskjaer, whose undebatable defiance of expectations has now placed his side’s eyes on Champions League football. The ambition United are showing at the moment is brilliant, but also terrifying, as the current winning run becomes somewhat meaningless in the perspective of what is to come. 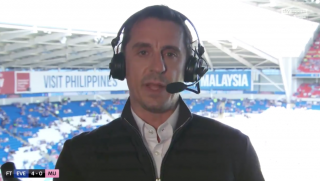 United can only beat what is in front of them, and in the case of this weekend, it will be Chris Hughton’s tactically astute Brighton and Hove Albion, a side that comfortably and famously dispatched the Red Devils in the second match of this campaign. 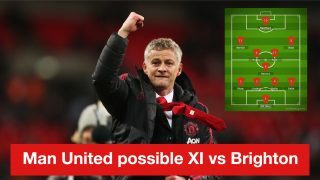 Solskjaer will be hoping that the new United, combined with home advantage, will prove enough to see a seventh consecutive victory through with the following line-up. The Spaniard’s heroics against Tottenham defied explanation and led to comparisons between him and the best goalkeepers in United history. The praise is deserved and makes it reinforces how obvious it is that he will be between the sticks on Saturday. Young’s defensive ability has been solid over recent weeks, but he doesn’t have the same attacking capability as Dalot, whose crossing is a tremendous threat to the opposition. The future of United’s right-back position needs consistent first-team football to meet his promise and this is the perfect type of match for him. Run ragged by Harry Kane last week, Phil Jones is likely to be swapped for the returning Bailly this weekend. The Ivorian’s sending off against Bournemouth was as silly as his performance was good that day, and he needs redemption after being torn apart by Brighton in August. An incredible performance against Tottenham saw Lindelof ousted only once by Dele Alli, in an effort that still saw him limit the scoring opportunity the England international received. He undoubtedly keeps his place for the upcoming match. The same goes for Shaw, who was struggling in the first half against Spurs, but continued to improve in the second. The 23-year-old seems to be low on fitness, which is bizarre given the time of the season but not his record. At his age, Solskjaer will be watching Shaw closely and determining whether he really is the long-term starter at left-back or just a squad player who needs to be upgraded upon. The need for Nemanja Matic in both the next two matches against Arsenal and Burnley should allow Fred to return to the side. His struggles to adapt to Premier League football have been well-documented throughout the season. The Brazilian remains a quality footballer and needs to find his place in time for United’s hellish February. One of United’s standout performers against Spurs, Herrera’s excellent form leading up to the next few matches will reward Solskjaer for his decision to rest the midfielder twice in his first six matches. The Norwegian’s rotation of the side has been flawless since his arrival and will be key to United’s performances in the next few matches. 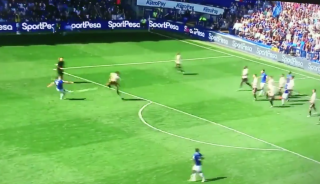 The Frenchman’s incredible assist for Marcus Rashford’s winner was enough to make him the best outfielder on the pitch even without his slaloming runs and press-relieving passes. Rotating him and succeeding without him in the side could be the most difficult part of the remainder of United’s season. Benched for United’s encounter with Spurs in favour of Jesse Lingard, the likely need for the vibrant Englishman in the match against Arsenal will warrant his rest in this match. Mata emerges as the likely candidate to start and is also, perhaps, the best understudy for Pogba, who will need a rest soon enough. 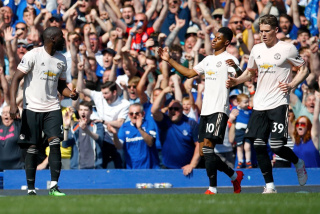 Romelu Lukaku had a relatively unfruitful spell in the latter stages against Tottenham, and after Rashford’s match-winning performance at Wembley, he needed and will need to do far more to oust the Englishman, who is now United’s joint-third top scorer this season. Martial wasn’t at his most effective against Spurs, but given Alexis Sanchez’s absence, there are no United players to replace him and replicate his ability to pin back defenders and create resulting chances.